En vatten- och vindtät vinterjacka i stretchtyg med god andning. Jackan är fodrad med en varm lättviktspadding och håller dig garanterat torr och komfortabel hela vintern. 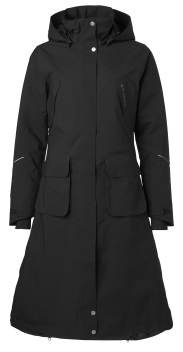 Protects you against snow, rain and wind while releases excess heat and moisture from the body and the layers underneath. 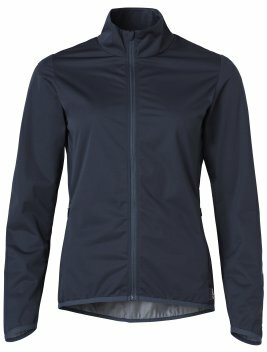 A water and windproof yet breathable garment with all seams tape-sealed and with a lightweight down-free padding that will keep you comfortable even during the coldest day. It is your shield against the elements and no matter the conditions you and your horse can still perform at your very best. EquTex™, stretch 2-layer polyester fabric with waterproof and breathable membrane. Waterproofness 10 000 mm / Breathability 10 000 g/mm2/24h. The shell fabric has an Eco-friendly fluorocarbon-free DWR-treatment. Warm down-free lightweight 3M™ Thinsulate™ Insulation 80/100 gr.